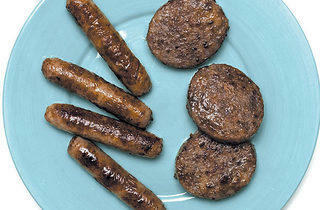 The difference between brunch sausage and breakfast sausage isn't quality. It's availability. 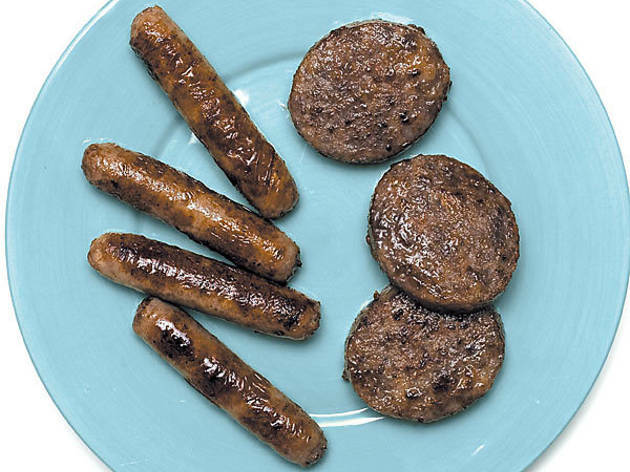 Let’s get real about breakfast sausage: The best stuff out there is coming from hot-shot dinner destinations that bring in whole animals and make their own—complete with maple cures, slow smoking and herb rubs—then serve it only once, maybe twice a week. (We’re looking at you, the Bristol). As close as you’re going to get to the fancy stuff seven days of the week are the veal-chive links at Ina’s (1235 W Randolph St, 312-226-8227, $4.59), but for the best value links, we found nice sage flavor and a blistered exterior with good snap at Beverly Bakery (10528 S Western Ave, 773-238-5580, $1.75). Likewise, sausage-patty fans also have both lowbrow and upper-crust options: The thick housemade patty at Southport Grocery (3552 N Southport Ave, 773-665-0100, $3.50) is delicious, but the relative price tag gave us sticker shock. For our money, we’ll go for the old-school pucks of perfectly crispy, red-pepper-flecked and slightly greasy (in a good way) pork patties at Edna’s (3175 W Madison St, 773-638-7079, $3.35), sourced from Parker House Sausage Company in Bronzeville. Note to gluttons: They’re even better tucked into Edna’s famous biscuits and topped with cheesy scrambled eggs.